There's still some life left in the Alien franchise. There's also lots and lots of death. If director Ridley Scott wants fans to come back for the next installment, he better be upping the creepy quotient and includes something different in the script. Alien: Covenant was in an all-familiar territory - extraterrestrial creatures - for the most part. The build-up to the 'terrifying' and 'creepy' sequences took a little bit too long and dragged the movie down. This unoriginal sci-fi sequel is a watchable letdown. Alien: Covenant though is back with Scott's parasitic space alien and some Fassbender-on-Fassbender action. 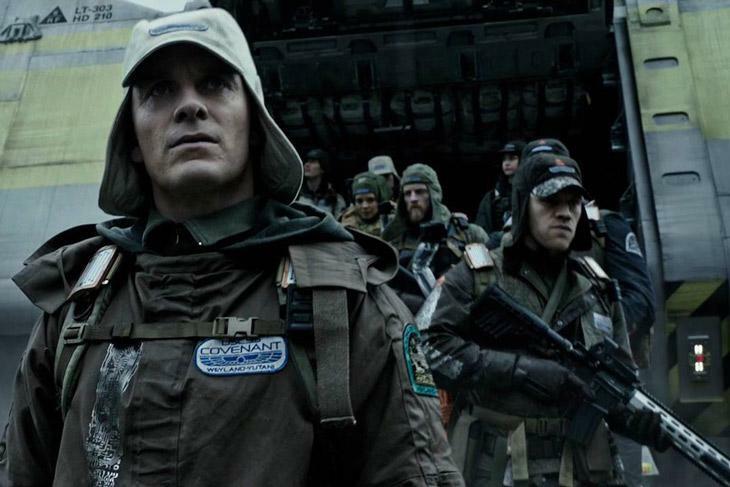 The movie is a sequel to the much-loved prequel Prometheus, which came out back in 2012. Prometheus was set in 2094 and was about a space quest seeking the origins of humanity. Alien: Covenant is set ten years later in 2104, in which, a colonist ship, called the Covenant, is bound for a remote planet. Their mission is to set up a colony on a distant planet that appears to support human life. Essentially, the film spends its entire 123 minutes following these explorers on a mission that has skewed off course. Scott chooses not to tamper with the tried and tested formula and that does just enough to placate fans of the series. What one gets is gooey mutant creatures burst into life from the confines of horror-struck human beings trying to take over the rocky expanse of an alien plant. 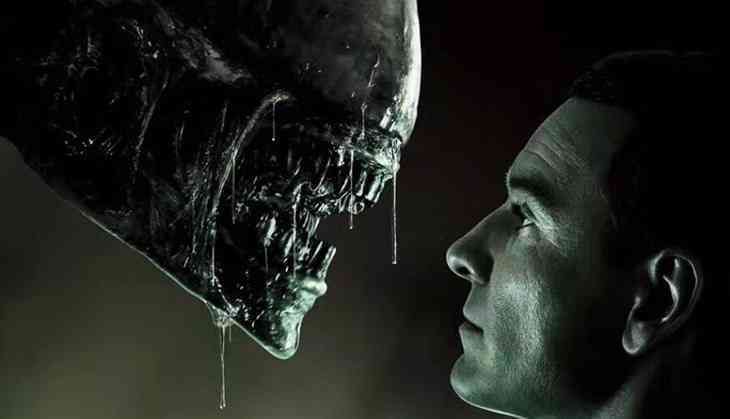 It's exactly what one has come to expect from an 'Alien' movie though these 'creatures' aren't nearly as scary as fans were expecting. The other thing that the film does is give Michael Fassbender's robot character a huge boost. We first encounter robot helper David (played by Fassbender) in a huge white room with high-art objects places all around with a grand piano right in the middle. Fassbender is there with his scientist creator Peter Weyland (played by Guy Pearce). We learn how Fassbender's name David, came to be. It's named after Michelangelo’s David, which also happens to be in the room. Fassbender appears again aboard the colonist ship, this time again, as a robot model named Walter. Scott gives Fassbender the delectable opportunity of a double role and this is what elevates the movie. An electrical storm out of nowhere wakes up the crew prematurely from their deep hibernation and kills off their captain. Oram (played by Billy Crudup) is promoted to captain. Daniels (Katherine Waterston) and Tennessee (Danny McBride) become his subordinates. Upon waking up, the crew become hesitant to slip back into their pods. When Tennessee discovers a signal from a nearby planet, the crew becomes fixated upon it, altering their originally planned course. Once these colonisers touch down on the planet, nothing goes according to plan. It's the typical set of events. From stepping on a black egg sack to sending black particles in the air. Henceforth from that moment, it's gross business until the end only to pause for the arrival of David and some Fassbender-on-Fassbender time. This distant planet that Scott has created is only going to expand in the next few sequels and that is something to look forward to. It's got all the makings of a creepy crawly universe and Scott along with his cinematographer do a pretty good job here. Like Prometheus, much of the gore takes place outside of the confines of the spaceship and in the vast arena of a distant planet. Mixed with aesthetically pleasing long-shots of the planet, this is a visually delightful spectacle. It's a throwback to the previous films in the franchise and just enough to keep fans happy. Here's hoping the next sequel or two go back to the days of Prometheus.